Ahmed is one of the 85,000 pupils in East Jerusalem. Because of the occupation and the unclear statute of Jerusalem, some 200 schools face major problems. There is a lack of money, teachers and school buildings. For the Ministry of Education, East Jerusalem is a top priority. Belgium supports several education projects in East Jerusalem. Ahmed lives in East Jerusalem, the Palestinian part of the city. With his friends he attends Al Huda School in the old city, going to class in two containers located on top of an old building. The school has no playground, no heating and no air-conditioning. In winter children keep their coats on in class. When they get cold, they go outside to exercise. 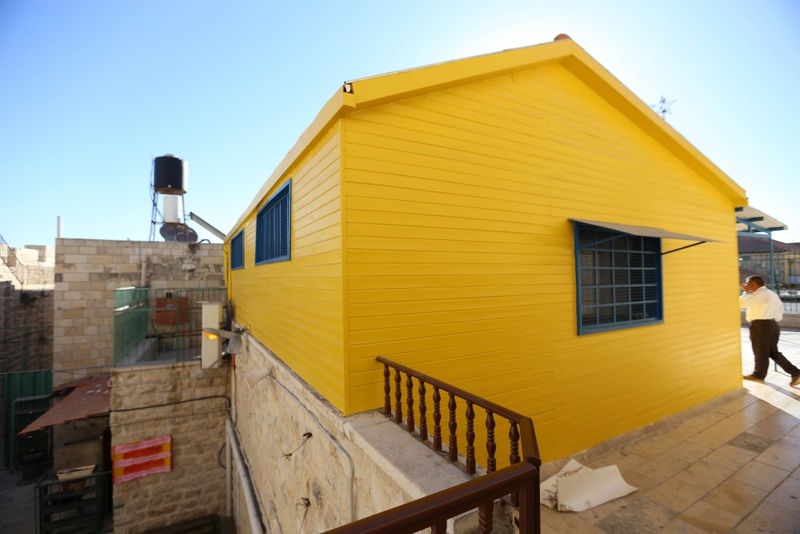 The Belgian development agency renovated nine schools in East Jerusalem, including Al Huda School. The primary objective is to improve pupils' and teachers' comfort with roof and wall insulation to address extreme temperatures, with completely new electric wiring and with modern sanitary facilities. Renovation of existing schools is the focus of attention, as building new schools is almost impossible because there is a shortage of land in East Jerusalem for the construction of public buildings. But even renovation is not evident since building permits often require long and complex procedures. 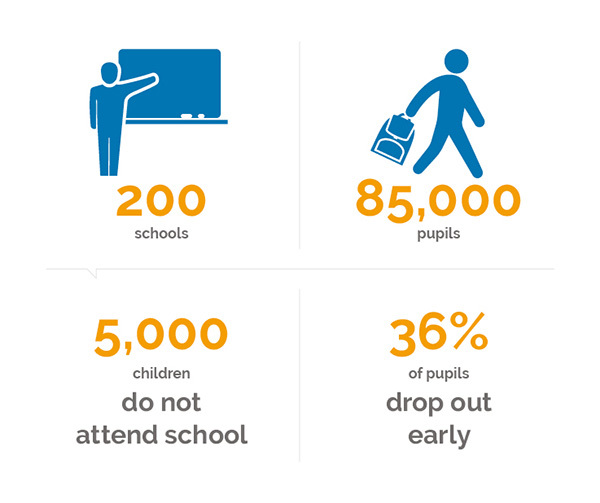 As a consequence, classes are crowded and not adapted to the needs of the pupils. In short, teaching circumstances are far from optimal. To improve the situation, the municipality is renting buildings to serve as schools. The schools themselves lack the resources to do so. But the rented apartments, which are refurbished to function as classrooms, are not adapted to their new task. 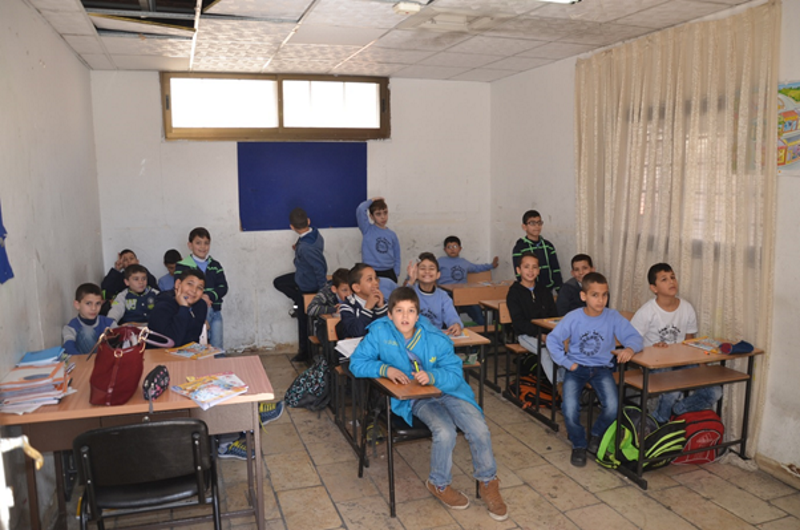 The Belgian Development Cooperation also provides budget support to the Palestinian Ministry of Education so it can realise its education plans. Belgium supports the Palestinian education reforms along with four other countries: Finland, Germany, Ireland and Norway. The close cooperation between these countries reduces the administrative workload for the Ministry of Education and significantly improves efficiency. The Belgian contribution is not just limited to financial support, but focuses also on the policy dialogue and advice in establishing strategic education plans. In the policy dialogue Belgium emphasises the quality of education, in particular in technical and vocational education, and asks more attention for areas with the greatest needs such as East Jerusalem. Precarious learning conditions unfortunately lead to many drop-outs, especially in secondary education. More than one out of three youths drops out early. Belgium leads and coordinates the different donors in their efforts to help the Palestinian Authority. Once per year all donors convene for consultation on education issues, informing each other about the progress made over the past year. In addition, there are meetings throughout the year. To address the specific issues in East Jerusalem and jointly find solutions for the future, an East Jerusalem working group has been established with the Palestinian Ministry of Education and Higher Education, Jerusalem, Foreign Affairs and all interested international donors. Where all stakeholders join forces, there is a chance that Ahmed and his class-mates in a few years' time can go to a well-equipped school, with a customised education plan and enthusiastic teachers. East Jerusalem's total shortage of classrooms is estimated at 2,247. No plots for public buildings available. Building permits are hard to get by.